Row, row, row your… AAAAAGH!!! ELEPHANT IN A KAYAK!!!! 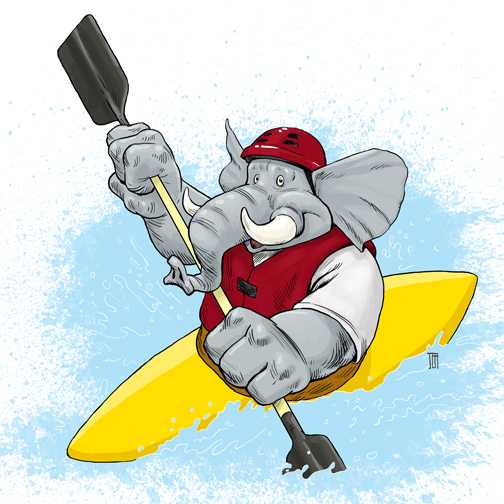 Got commissioned recently to do this mascot illustration for the Crimson Kayaker blog. Then I started thinking, “Dang. How big would a kayak have to be for an elephant to fit in it?” I’m thinking that sucker would have to be a converted 35-foot cabin cruiser. And the blades on the paddle would be the size of dinner tables. But, then again, I have been known to overthink things sometimes. 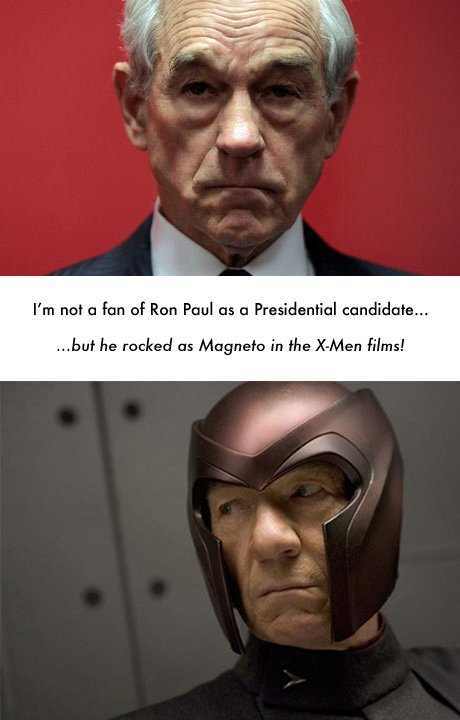 He wants us out of Afghanistan… AND he can make trains levitate!!!! First Rule of Doodle Club is: There are no rules! Over the course of this blog, I’ve had a fairly steady stream of emails asking what my approach to doodling/sketching is, and if I had any tips. My answers have varied, depending on the specifics of the question, but my general response has always been pretty much the same. I received another such email yesterday, and figured I’d go ahead and post my response so that anybody else who might be curious could read it. As far as tips for sketching, I’d have to say the first thing is let yourself just relax and have fun with it. Take more of a flow of consciousness kind of approach. If you happen to hit upon an idea you want to take further, that’s great. Do that on a second piece. (I’ve actually had doodles that turned into paintings and published illustrations.) But don’t let that be the goal of sketching or doodling. I guess the difference, for me at least, between doodling and drawing a finished illustration is like the difference between running around in the backyard with my kids and running a marathon. They both use the same set of muscles, just with vastly different goals in mind. If you’re still struggling with wanting to overthink a sketch, another thing you can do is the timed sketch. Give yourself a VERY short time limit (60-90 seconds) and turn yourself loose on an idea. But- and here’s the hard part- when that time is up, THAT’S IT. No more drawing on that sketch. None. Nada. Zilch. Zippo. Don’t even go back later and tighten up or erase anything. In addition to the points I made in this reply, I’d add one more: use different tools. Don’t always feel like you can only doodle or sketch on a certain paper using only a particular pen or pencil. Try a wide variety of surfaces and media. Use crayons on a napkin, or colored pencils on an envelope, or Sharpies on an old shoebox. Whatever. Just don’t stifle your creativity by setting any strict parameters on something that is supposed to be a fun pastime. You might be surprised at the new possibilities or favorites you discover. Hope this was helpful. Happy doodling, everybody!